And a lot has changed since June 25, 1938 – the day Congress passed the Food, Drug and Cosmetics Act of 1938. These days cosmetics are a $60 billion-a-year business, and the average woman uses 12 products with 168 different ingredients every day. The 1938 law only prohibited the sale of cosmetics with any “poisonous or deleterious substance,” or any “filthy, putrid, or decomposed substance,” so the Food and Drug Administration has so far only banned nine cosmetics ingredients for safety reasons. Members of Congress made other efforts to modernize cosmetics law, starting in the 1950s, but all of these attempts were defeated by the cosmetics industry. 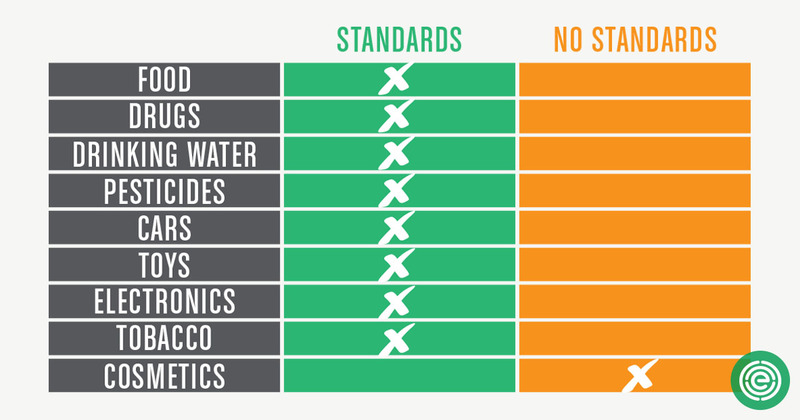 By contrast, Congress has done a lot to improve the safety of other consumer products. Congress has set safety standards for drugs, food, microwave ovens, toys, medical devices and electric blankets. Congress has regulated cars and cough suppressants. Congress has regulated laser scanners and laser pointers. Congress has taken steps to reduce water pollution and regulate waste disposal. Congress has even set safety standards for pesticides and tobacco. 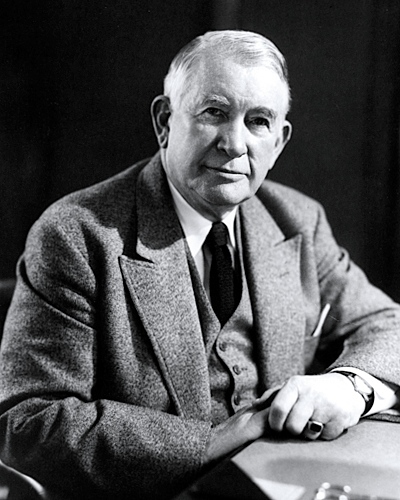 Photo via Library of Congress: Senate Majority Leader Alben W. Barkley, D-Ky., of the 75th Congress. Other than subjecting colors used in food, drugs and cosmetics to FDA review, cosmetics law has not changed in 80 years. 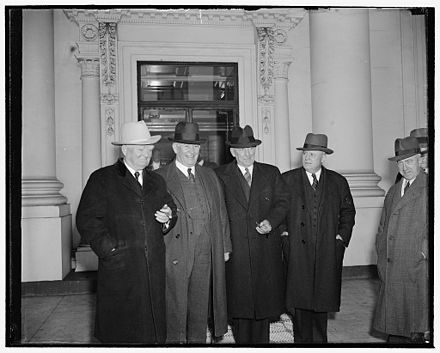 Photo via Library of Congress: Vice President John Nance Garner, Senate Majority Leader Alben Barkley, D-Ky., Speaker of the House William Bankhead, D-Ala., and House Majority Leader Sam Rayburn, D-Texas, of the 75th Congress. Even guns are more heavily regulated than cosmetics. There are more rules governing the chemicals we spray on crops than the chemicals we spray on our bodies. After 80 years, it’s time for Congress to finally act. 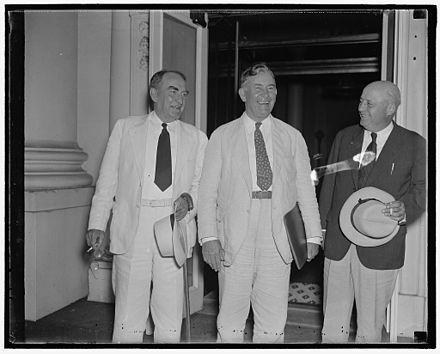 Photo via Library of Congress: House Speaker William Bankhead, D-Ala., Senate Majority Leader Alben Barkley, D-Ky., and House Majority Leader Sam Rayburn, D-Texas, of the 75th Congress. Sens. Dianne Feinstein, D-Calif., and Susan Collins, R-Maine, and Reps. Frank Pallone, D-N.J., and Leonard Lance, R-N.J., have developed bipartisan legislation that has the support of cosmetics companies, large and small. These bills would require FDA to review the most dangerous chemicals in cosmetics, require companies to tell FDA when contaminated products are in the marketplace, and give FDA the power to act to keep us safe. 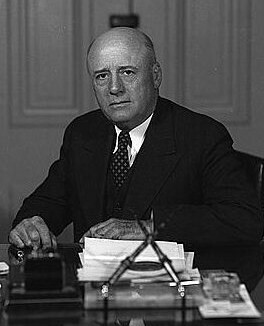 Photo via Library of Congress: House Leader Sam Rayburn, D-Texas, of the 75th Congress. Unless Congress acts quickly, cosmetics law will grow even older – and consumers will remain unprotected from dangerous chemicals in products they put on their skin every day.